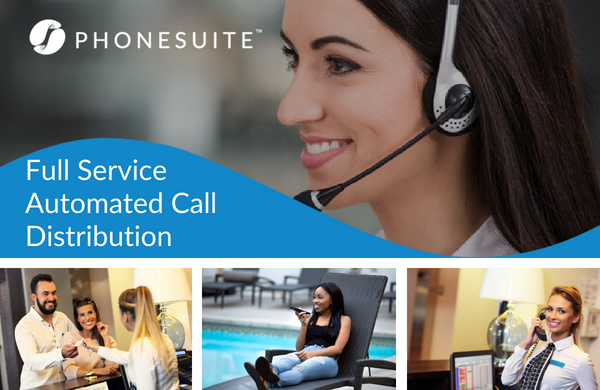 (Broomfield, Colorado) – September 12, 2018 – Phonesuite, (www.phonesuite.com) a leading provider of hotel voice technology solutions, announced that it has further expanded its Voiceware platform to meet the needs of today’s hotel customers through its acquisition of Asteria Solutions Group, a provider of voice communication and call center solutions to leading companies including Trip Advisor. The acquisition will enable Phonesuite to offer hotels single guest-facing call center functionality through its existing platform with highly trained agents equipped to handle a myriad of guest requests from a central source. By offering full service ACD (Automated Call Distribution), hotels can streamline their call center operations and significantly decrease costs while enhancing the level of service they provide to their guests.